Oh my, what a beautiful young lady! Her hair style is stunning and so is her dress and what a lovely, lovely smile she has! Gosh yes, what a proud Mum, I can quite see why! Brooklyn's smiles say it all. She looks absolutely stunning from head to toe and oh so happy! Thank you so much for sharing this with us Tracey! Love your card too and thanks so much for playing with us at PaperSmooches Sparks! Tracey please tell Brooklyn for me that I think she is just stunning! The dress, the hair - perfect!!! You made it Mom! Rest up now... hugs all around... and pass the tissues - you just brought it all back home to my own baby's Senior Prom! Like I said on FB - Beautiful girl, gorgeous dress, handsome date, wonderful friends. Hmmm what other adjectives can I come up with? Glad a good time was had by all. I recognize those supplies! Love your card, although I'm sorry to say that it's a bit overshadowed by the prom photos! Brook looks beautiful and like she's having the time of her life! So glad the weather was good! Thanks for sharing! Such a gorgeous girl!! LOVING her dress and her hair!!!!! And your card is beautiful! LOVING the colors!!! your daughter is gorgeous and love her hair.. how fun.. I bet she had a great time..
You must be a very proud mama :) Fabulous photos and such a lovely daughter. ADORE her hair too! I'm dreading next year when my baby girl will graduate...gone by waaaay too quickly!! Darling card too! Your daughter is beautiful and she looked stunning in her dress. I enjoyed these photos. I don't have children so I was blown away at how dolled up the young women get for prom these days - the dresses are amazing! Looks like a fun time! Your card is very pretty! Love the die cuts! Love your card, Tracey! And thank you for sharing all the photos! Such a special night and Brooklyn looks gorgeous! Wow! So many wonderful photos of Brooklyn and her friends...how fun! Her hair and dress is absolutely amazing...gorgeous!!! And, your card is just beautiful with awesome die cuts! She looks gorgeous and oh so happy! And that hair' that's a masterpiece! I think prom is a much bigger deal today than it was when I was growing up ;). Gorgeous pics, Mom! Brooklyn is absolutely beautiful, and it's so fun to see her with all her smiling friends. Bet her night was unforgettable, and your card is ever so pretty. I adore that veneer frame! Oh Tracey! Brooklyn is just beautiful!!!! Gorgeous dress and hair! 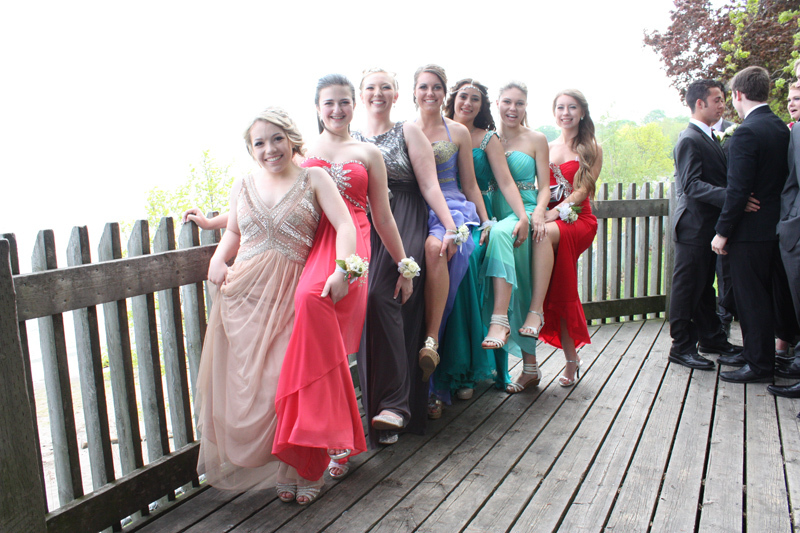 And so fun to have such gorgeous photos with all of her friends! It must have been a wonderful night! I hope you got some rest!!! The card is beautiful! Tracey-your daughter is STUNNING!!! I love that dress and her hair-WOW!!! She looks like a movie star!! I love your beautiful card you created. The rose is so pretty and I like the fun frame you used. Thank you for sharing!! Oh my goodness, what a BEAUTY she is, Tracey! Her dress is gorgeous and I love how she styled her hair...looks like she has amazing taste, just like her mom :) Thanks so much for sharing all of these photos with us! 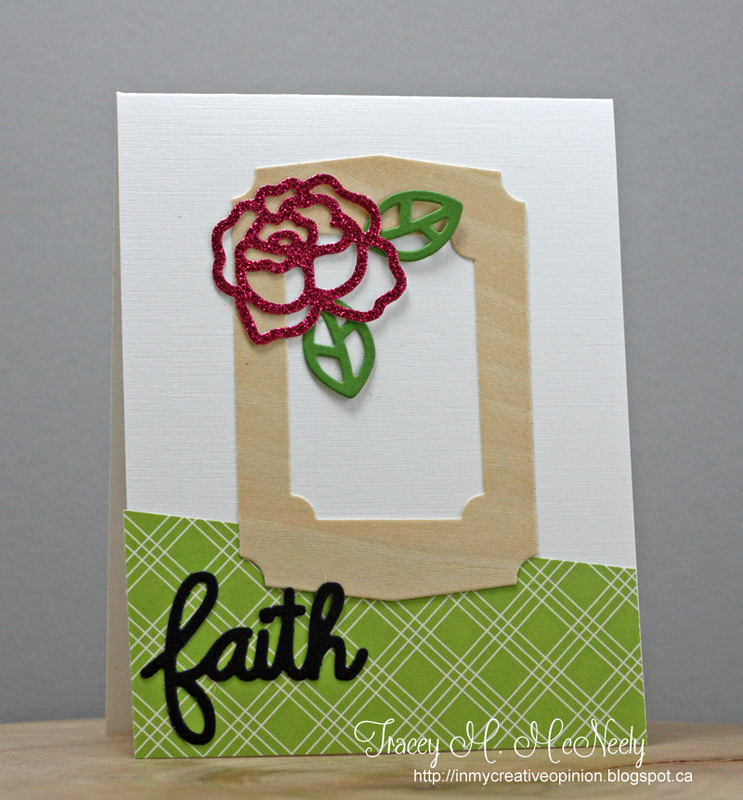 I love how you placed the rose and leaves on your card, and the color combo is fabulous...Very pretty card, as always! 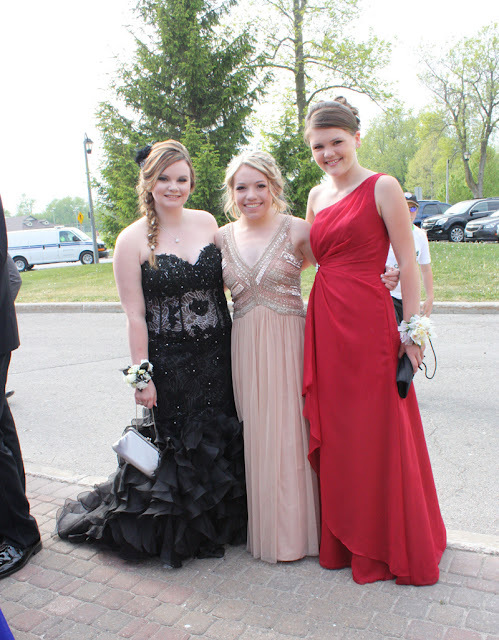 Thanks for sharing all of the beautiful prom photos! Brooklyn is gorgeous! Your daughter is lovely- Love her dress and up do! Your card is just beautiful too! 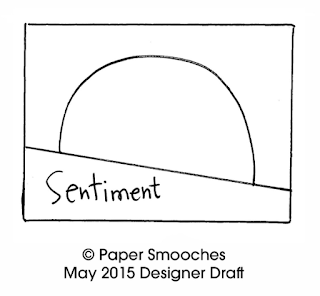 Thank you for sharing a glimpse of your life and your gorgeous work with the Paper Smooches SPARKS challenge! Brooklyn looks beautiful and I love her dress. Thanks for sharing! I am glad she had fun and her date looks very nice too! 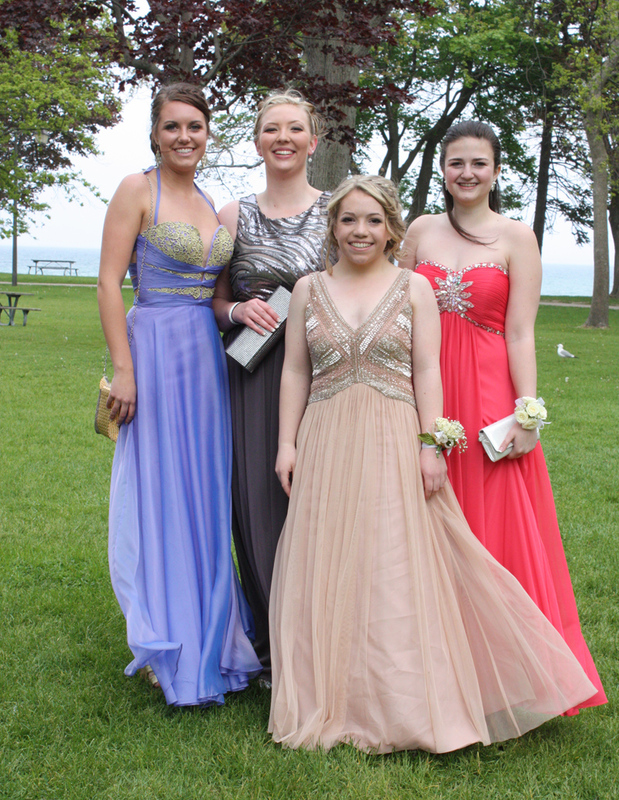 Such great prom pics — Brooklyn looks like a Grecian goddess! I also happen to love your take on the PS sketch. The frame is wood veneer? Nice! Brooklyn looks absolutely stunning! Love the dress and her amazing hairdo. She looks so happy. What a special memorable day for her, and for you! Love your fabulous card too! Tracey, I have tears in my eyes at seeing these photos; your daughter is absolutely gorgeous! Her dress, her hair - so beautiful - but it's that 'light up a room' smile that steals my heart! I can't even imagine how proud you are to be mom to this incredibly special young lady. She's a treasure; you're a treasure. How blessed you are to have one another. I've already 'fast forwarded' to my niece graduating (she's starts kindergarten in September) and wow...emotional! Enjoy every moment with your stunning daughter...every moment (even the ones that cause eye-ball rolling!). 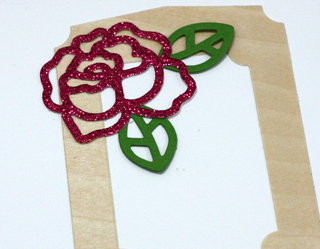 Your card is a delight; the sparkly rose is so eye-catching! What an amazing bunch of photos. Brooklyn looks so beautiful--like a princess. And, what nice looking friends she has. It looks like a great bunch of kids. How fun for them. Oh, and the card is awesome, too. Good job proud mama, and now you can rest. 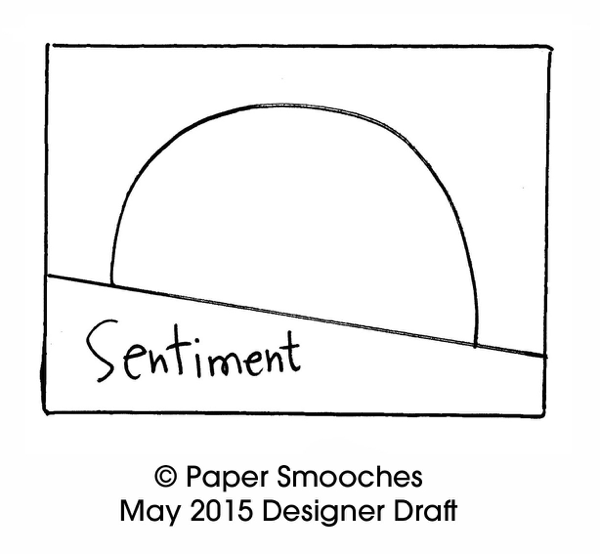 Sorry to be so far behind in commenting. I did pop in to take a look at all your wonderful photos but never left you a comment so I am now back again to get that taken care of. 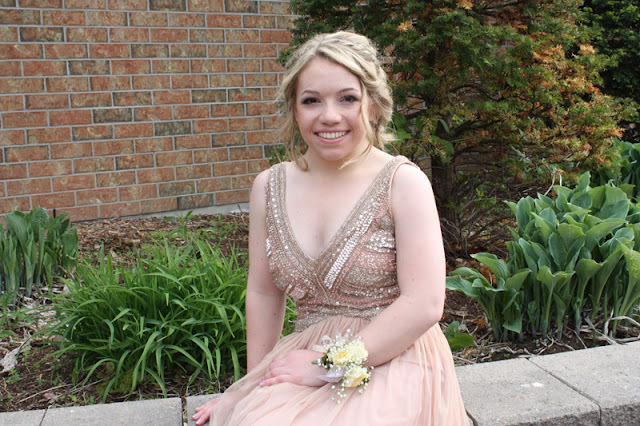 Brooklyn is quite the lovely lady, she is absolutely gorgeous and that dress could not be more perfect for her. Your card is just as fabulous my sweet friend. Love that beautiful rose all decked out in sparkles. Reminds me of the rose from the movie Beauty and the Beast.